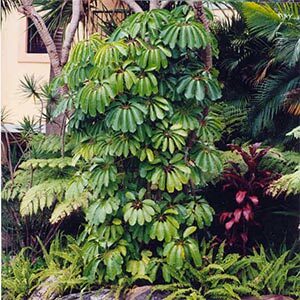 An impressive leafy subtropical shrub which makes an ideal specimen or screening plant. Excellent for pots & patios. Thrives in full sun or semi shade & well drained conditions. Protect from heavy frost. Easy care. 3 x 1m in 7 years.E.